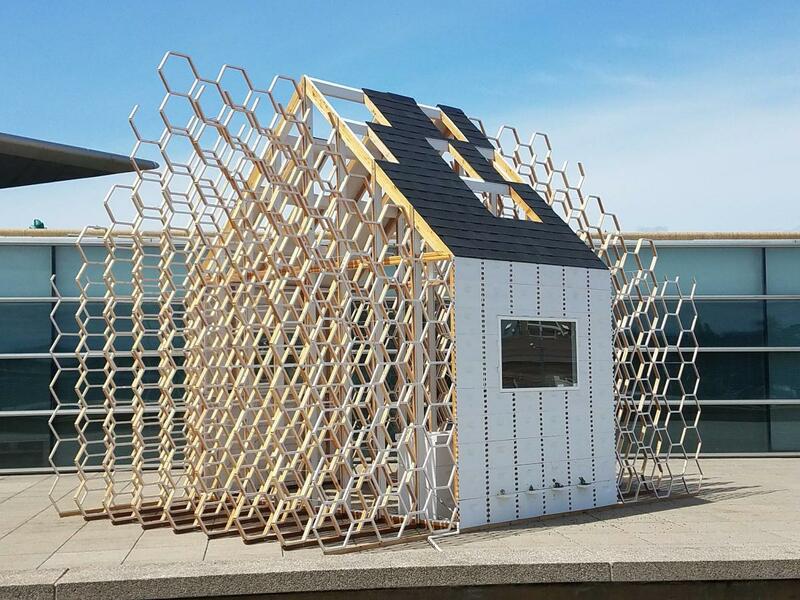 Hard work, collaboration, creativity, a drive to build, and a constant attraction to sunlight. These are all things that people in Pierce County share with the bees. 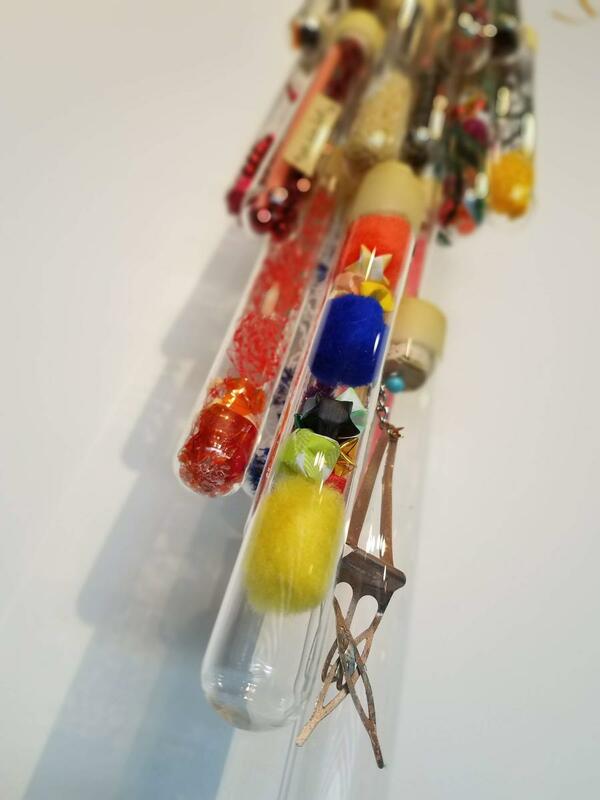 They’re also the key messages of a new exhibition at the Museum of Glass called Foraging the Hive: Sara Young and Tyler Budge. 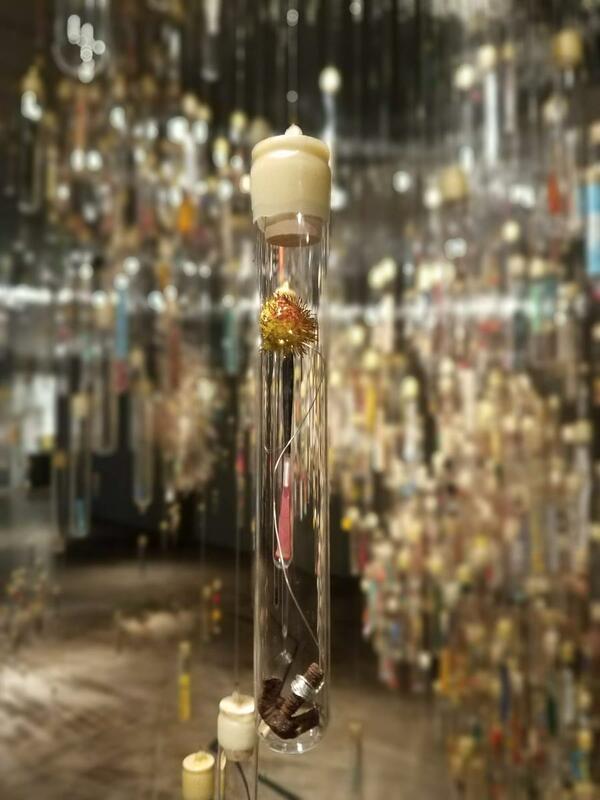 The exhibition is abstract, even for glass art, but like glass art, the abstraction gives breathing room for imaginative interpretation. 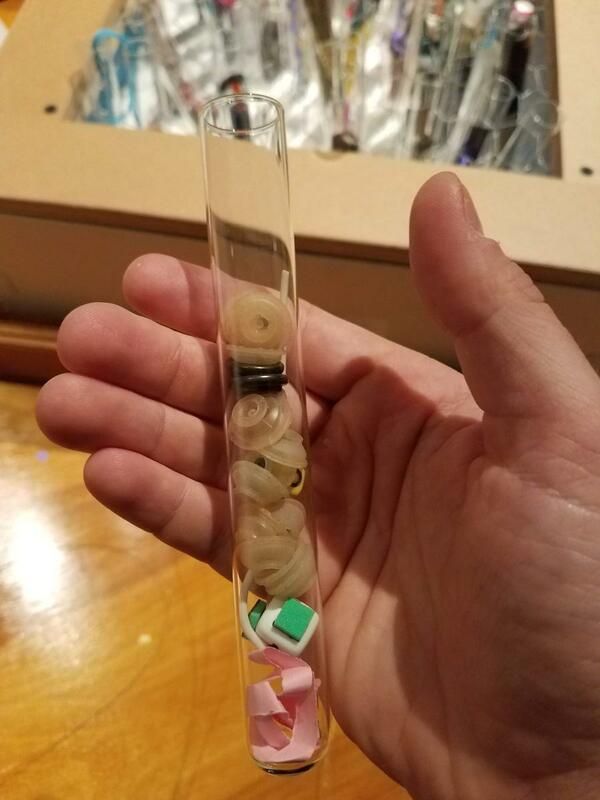 Test tubes. 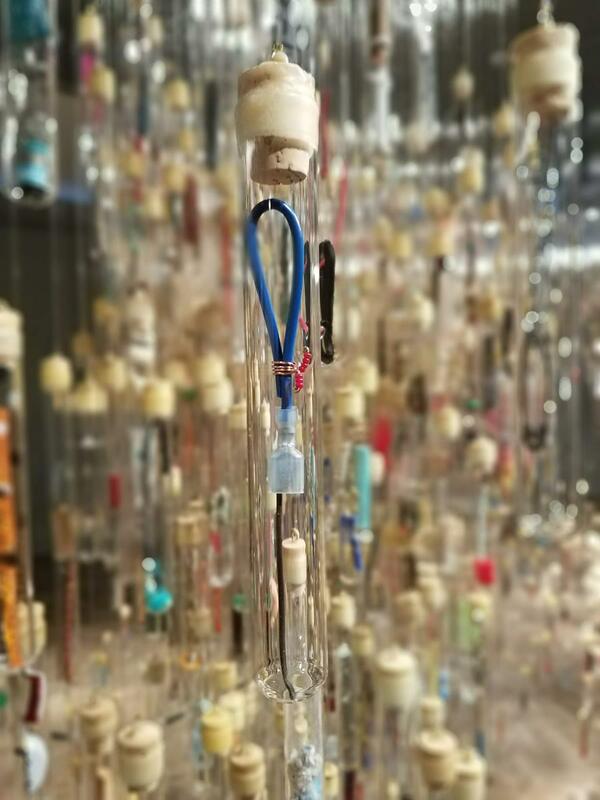 Hundreds of them, suspended from the ceiling. Each one containing a piece from the artists’ studios. Each one sealed with beeswax. 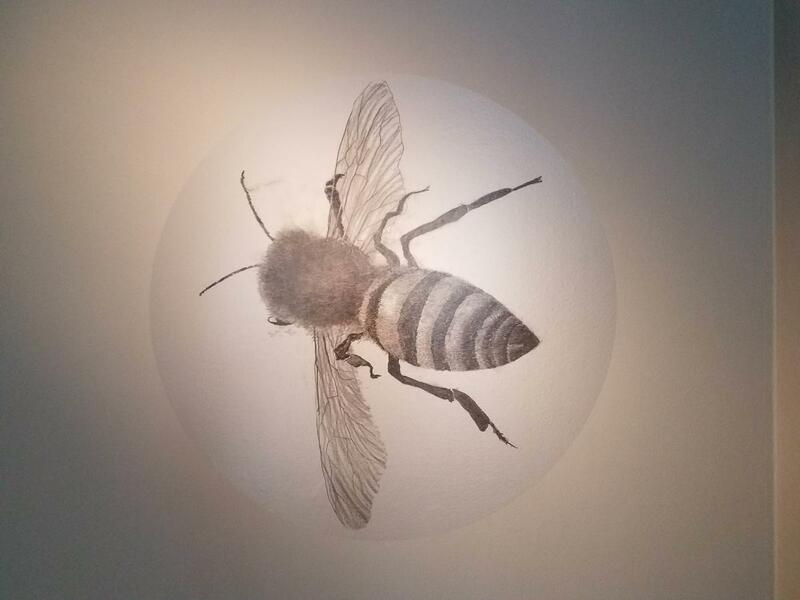 The artists, who are beekeepers themselves, saw the similarities between their personal experience in beekeeping, bee observation and honey extraction and their work as artists. A life-sized diorama. 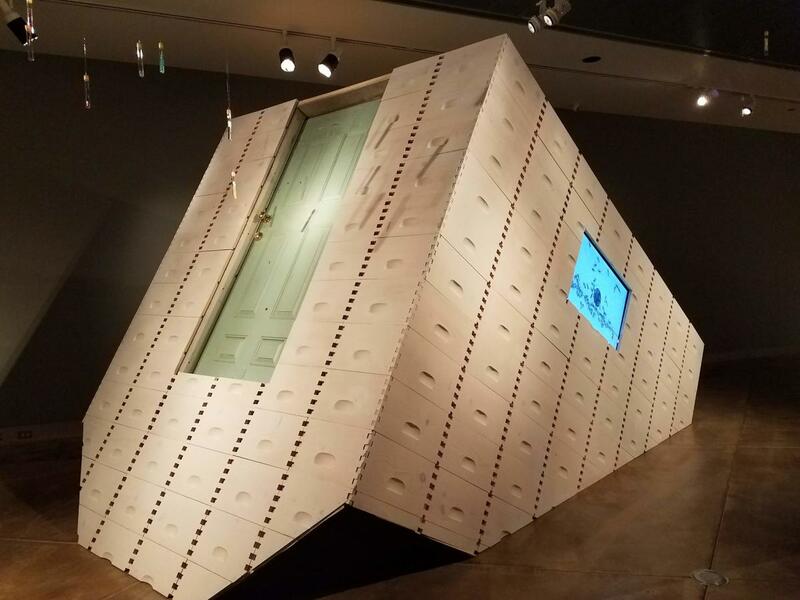 Built at an angle and resembling a beekeeper’s hut, the only pieces at a natural angle are the test tubes within that are suspended by gravity. An invitation. 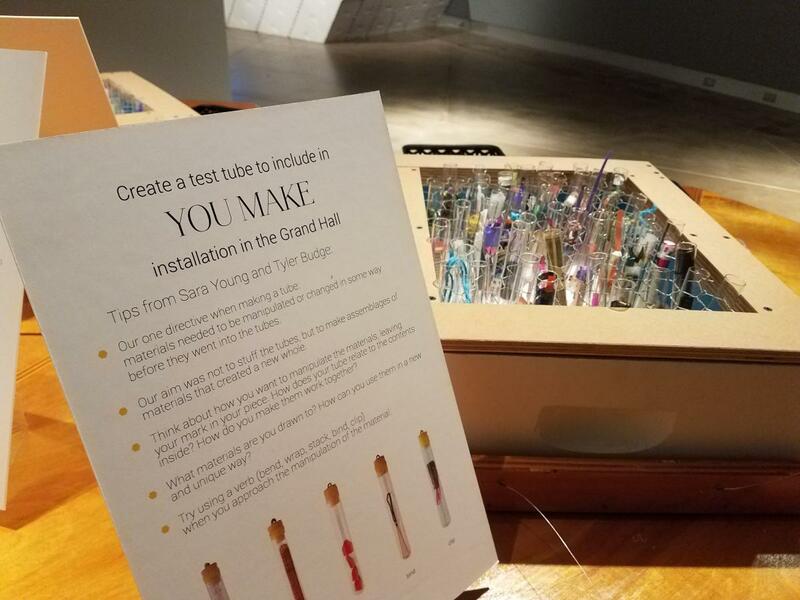 Visitors can use the materials and tools provided to make their own contribution and leave it in a test tube. The museum seals the tubes. And adds them to a growing wall. Actual, functioning beehives. The diorama in the exhibition is a scaled-down version of the hut outside the Museum of Glass. Tucked into a seldom-visited but wide-open public area adjacent to the museum, you might not even think to look for it. But as you get closer, you’re joined by more and more honeybees until you see the collection of several hives built into a structure. 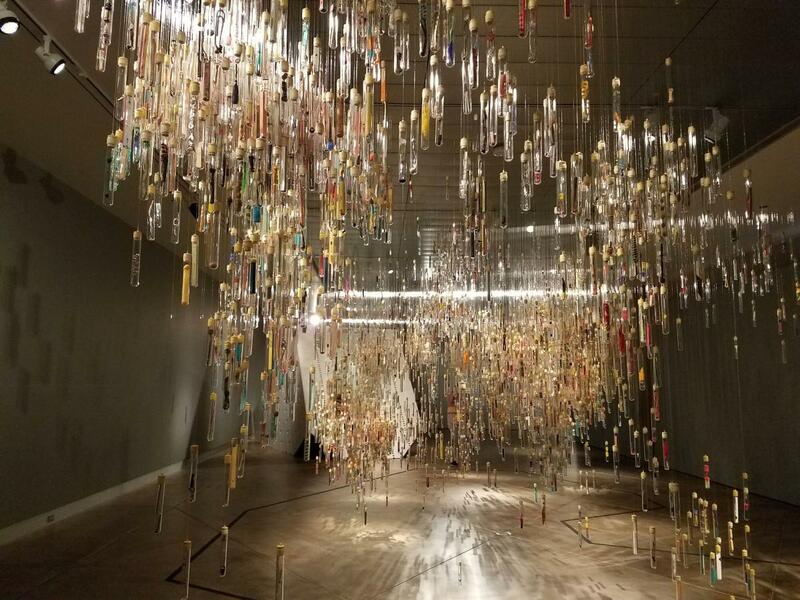 For more information, visit www.museumofglass.org. 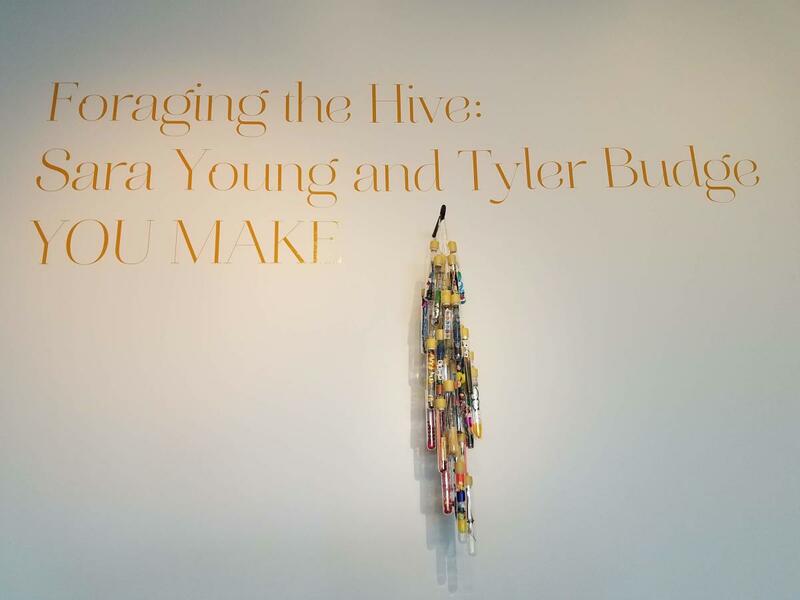 Foraging the Hive is on display now.